Suspicious Fires! - Ballarat District Orphan Asylum, Orphanage, Children's Home 1865-1980's Never Hidden Or Forgotten! Three Suspicious Fires At Former Orphanage Site! 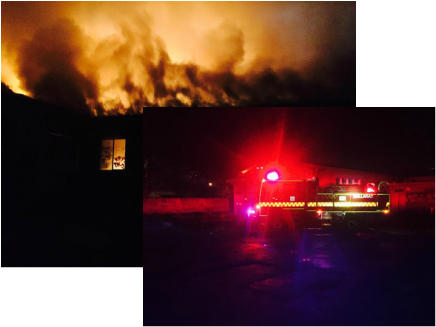 The former Orphanage Children's Home site at Victoria street has now been hit with Arson attempts to destroy buildings on the site. The Ballarat Fire Brigade C.F.A, were called out to the site on three separate occasions in one week to put out a fire blaze coming from the Farrell Cottage building on the 8th of July 2015 and on another occasions arson lit the Albert Leach Cottage . 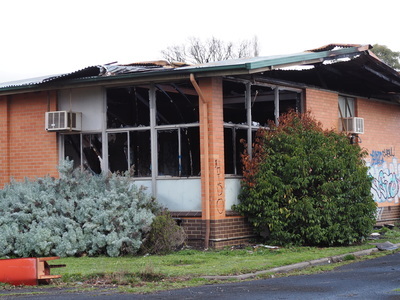 The Ballarat Fire Brigade did a tremendous job in their quick response to the burning site. 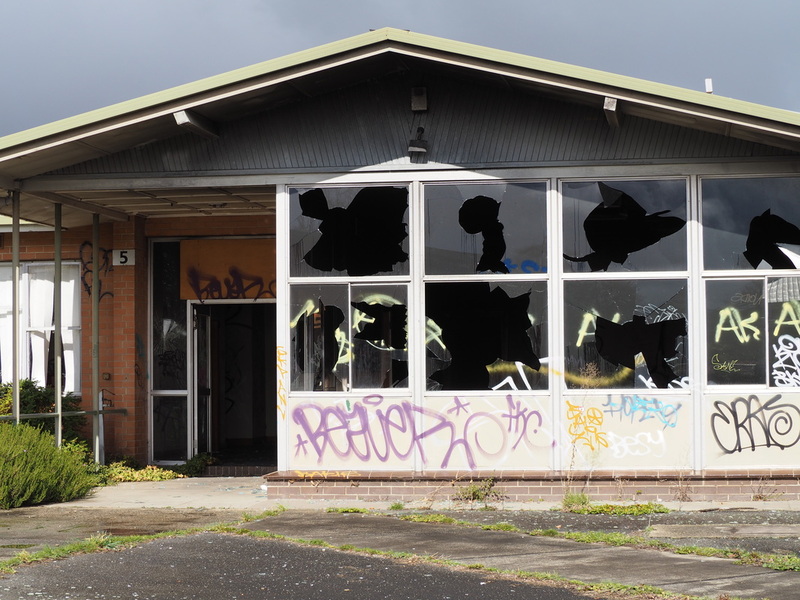 The abandoned site since 2011, has been for far to long left open for vandals and now arson it's time for the City of Ballarat to act and allow the developers to start the demolition of the non- heritage protected buildings. Third fire at Former Orphanage site in the last week. THE old Damascus College site has gone up in flames for the third time in just over a week. This is the second fire in two days at the vacant Victoria Street site. Ballarat City fire brigades were called to the structure about 6am Thursday. Firefighters controlled the small fire within minutes of arriving at the scene. It follows a large fire at the site on Wednesday morning, which saw 30 firefighters battle the blaze for about an hour-and-a-half. Ballarat police are treating the fire as suspicious, but could not say whether the three fires were linked. 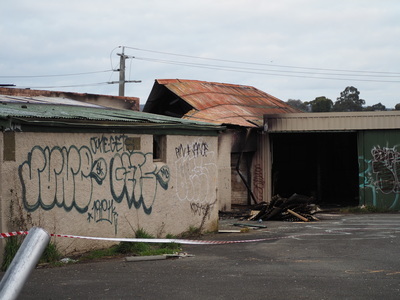 An arson chemist from Melbourne will return to inspect the site with a Ballarat fire investigator on Thursday morning. 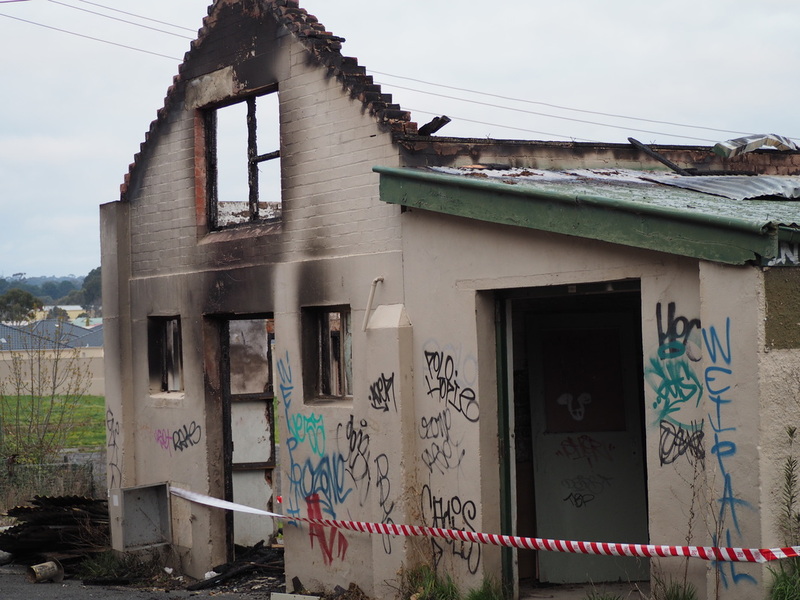 Ballarat Criminal Investigation Unit Detective Sergeant Steve Howard said all three fires were lit in different parts of the site. 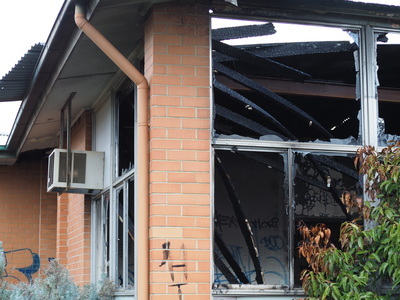 “The most north west building was the one where the fire was lit (on Thursday),” he said. Nobody has been arrested or charged in relation to the incident. There are also no suspects at this stage. He said it was possible homeless people could be using the site to keep warm. “The weather in the last week or so has been cold,” he said. Detective Sergeant Howard said extra police would patrol the area on Thursday night. .It's the fourth blaze at the Victoria Street property in three months. ​This time it was the oldest building to be hit by arsons.